Best Buy is featuring discounts on two games as part of its sales for today only. 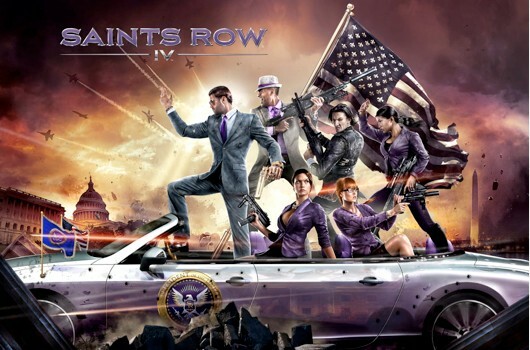 Saints Row 4 is 40 percent off ($29.99) for both Xbox 360 and PS3, saving players $20 on the game's list price. Those that pick up the Xbox 360 version may want to act fast to get the game's season pass at a discount through Xbox Live, a separate deal that started yesterday. Additionally, Gran Turismo 6 is 33 percent off ($39.99) at Best Buy today. By comparison, Saints Row 4 is currently 33 percent off ($33.49) on Steam, a deal that lasts until January 2. The PC version of the game is not part of Best Buy's sale. Best Buy's deal of the day discounts Gran Turismo 6, Saints Row 4 originally appeared on Joystiq on Tue, 31 Dec 2013 18:00:00 EST. Please see our terms for use of feeds. Danny takes a look back at the launch of the PS4, and what was a pretty great year for PlayStation 3 and VITA owners. A double XP event for Battlefield 4 Premium members has been delayed, according to an alert posted on the Battlefield forums. Originally slated to take place yesterday, the event has been "postponed" and will "run at a later date." Unfortunately, developer DICE offers no further information regarding a specific date. According to the Battlefield 4 Premium calendar, January's Premium event should go down on January 27. Presumably, the rescheduled December event should take place sometime before then. 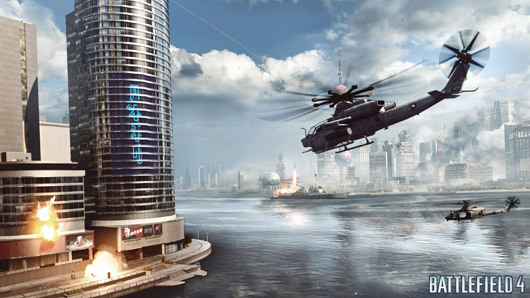 The delayed event joins a host of problems - including buggy gameplay and persistent connectivity issues - that have plagued Battlefield 4 since it launched at the end of October. The problems reached fever pitch this month, with publisher EA finding itself the target of multiple lawsuits alleging that the company misled investors about the state of Battlefield 4 prior to launch. Double XP event delayed for Battlefield 4 Premium members originally appeared on Joystiq on Tue, 31 Dec 2013 16:00:00 EST. Please see our terms for use of feeds. Once relegated to campy and inaccurate parodies in Hollywood movies, hacking is increasingly becoming a part of our daily lives. With the PlayStation Network, LinkedIn, Twitter and, most recently, Target all being attacked, as well as the countless attacks fielded by various "hacktivist" groups, computer technology and security issues are becoming impossible to ignore. The group known as LulzSec, a disparate band of anarchists, managed to take down over a dozen websites and services, including the PSN, for months. As our world becomes increasingly interconnected, the potential vulnerabilities grow exponentially. Our lives, and especially the infrastructure on which they rely, have never been more vulnerable. If Watch Dogs - Ubisoft's recently delayed open-world, multiplatform title - could be said to have a point, that would be it. "People should question technology and their relationship to it," one of many on the Watch Dogs team that have decided to to 'take control of their digital lives,' tells me. "The more we put ourselves in the online world the easier it is to be exploited, and many people are completely blind to how fast their world is changing." Hacktivists and Watch Dogs: How real-world threats inspired Ubisoft Montreal's new open-world originally appeared on Joystiq on Tue, 31 Dec 2013 15:00:00 EST. Please see our terms for use of feeds. With 2013 drawing to a close, it's time for one last Xbox 360 daily deal: A promotion that cuts between 25 and 40 percent from the price of Call of Duty: Ghosts, depending on your location. Here's how it works: Pay a visit the Xbox Live Marketplace's Games On Demand section on your Xbox 360, then search for Call of Duty: Ghosts. Until the end of today, you'll find its price has been reduced. How much it's been reduced depends on where you live. Those of you in the United States will see the weakest discount, with only 25 percent being taken off. Those in European countries will find a 29 percent discount, and citizens of the UK are being granted a 30 percent discount. Australian gamers make out the best in this deal, as their version of Call of Duty: Ghosts has been reduced in price by 40 percent. 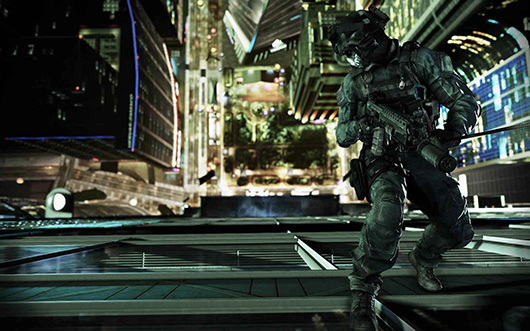 If Call of Duty: Ghosts isn't your cup of tea, but you still desperately want to pick up something before the year ends, you'll want to have a look at the ongoing weekly sale also taking place on the Xbox Live Marketplace. Like the daily deal, these offers expire once 2014 rolls around. Final Xbox daily deal of the year discounts Call of Duty: Ghosts originally appeared on Joystiq on Tue, 31 Dec 2013 13:00:00 EST. Please see our terms for use of feeds. An audiovisual journey through the year that was 2013, as seen through the eyes of a gamer. [UPDATE] A Microsoft representative told GameSpot, "This post was made in error, and we will be updating it shortly. We have made no announcements regarding the name of Halo on Xbox One. As we have stated previously, the award-winning franchise continues on Xbox One, beginning in 2014. We have no further details to share at this time." The all-new Halo game Microsoft announced for Xbox One at E3 2013 in June is Halo 5, not a spinoff, according to a Facebook post today from Xbox Australia. As part of an ongoing series of reasons to buy an Xbox One in 2014, Microsoft said, "Reason #14 - The Prometheans and Covenant just won't give John-117 a break! Master Chief returns for the thrilling continuation of the Reclaimer Saga in Halo 5." In June, former Xbox boss Don Mattrick referred to the new Halo game as Halo 5. However, Microsoft Game Studios corporate vice president Phil Spencer declined to say if this game was Halo 5 when approached by GameSpot earlier this year. He only described the game as "legitimate." We've reached out to Microsoft for comment on today's report, but were unable to reach a company representative at press time. Microsoft has released only one trailer for the next Halo game, showing off Master Chief in the desert. The all-new Halo game launches in 2014 on Xbox One, following Halo: Spartan Assault, which launched for the new system just this week. In addition to helping NASA control robotic arms, Microsoft's Kinect camera is now being used to create 3D figurines, thanks to a new Shapify.me service from printing company Artec Group. For $60, you can make a full-color 3D print figurine of yourself through the service by downloading the Shapify.me software and then scanning yourself via Kinect. To perform the scan, you'll need to be able to hold the same pose and facial expression for around a minute, as the camera captures you from every side. You'll need Kinect for Xbox 360 or Kinect for Windows to create a mini-me figurine. The Xbox One's new and improved Kinect camera is not listed as a supported device. Full details about the Shapify.me service are available at the company's website.